Keto Shrimp Foil Packets make getting dinner on the table so easy and mess free. This easy dinner recipe is delicious and the whole family will be asking for it again and again! WHAT ARE FOIL PACKET DINNERS? Foil packets have gained a lot of popularity in the past few years, but I have been eating them since I was a kid! My parents called them hobo dinners and we ate them when we went camping and occasionally at home too. The basic concept of a dinner foil packet is that your whole dinner is put inside a pocket of foil and cooked. The key to a successful dinner foil packet is to make sure to keep the food tightly inside the foil. This creates a great cooking environment for the meat and veggies inside! 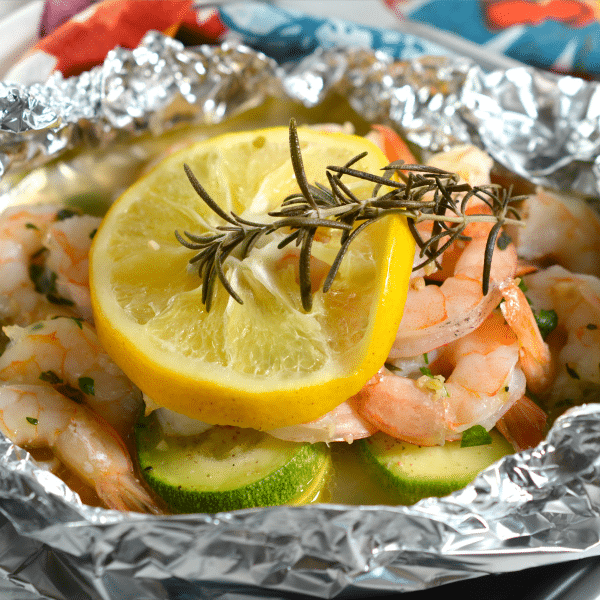 There are endless ways to make a foil packet dinner and the end result is always yummy! Keto Shrimp Foil Packets make creating a delicious keto dinner very quick and easy. Shrimp is such a great change from the beef and chicken that are so common on a keto eating plan. 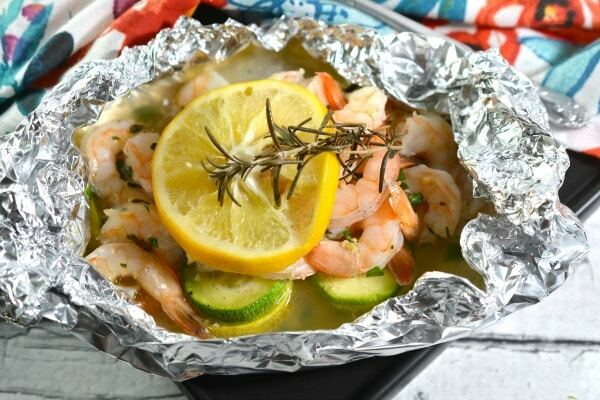 This Keto Shrimp Foil Packets recipe has some wonderful, healthy ingredients. Once you get the hang of making foil packets the whole process will speed right by! The first step is to get the vegetables ready. Peel and slice the zucchini and summer squash. Go ahead and slice a lemon into 6 slices. Set these all aside for now. Now go ahead and peel and devein the shrimp. Place the shrimp into a bowl. 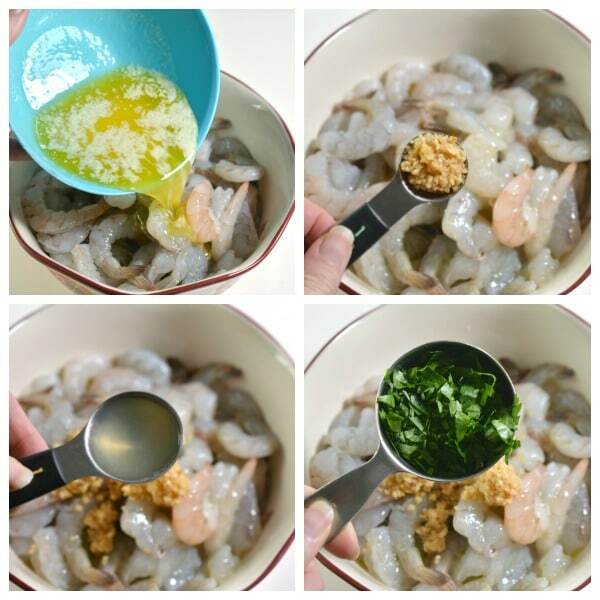 Add the melted butter, white wine, lemon juice, parsley and thyme to the bowl of shrimp and stir around. On each piece of aluminum foil put 6-7 pieces of zucchini and summer squash. Be sure to put the veggies in the center of the foil. Add some salt and pepper to the veggies. Now put a handful of the shrimp mixture on the top of the veggies. Put one slice of lemon on top of each pile of shrimp with a sprig of rosemary. 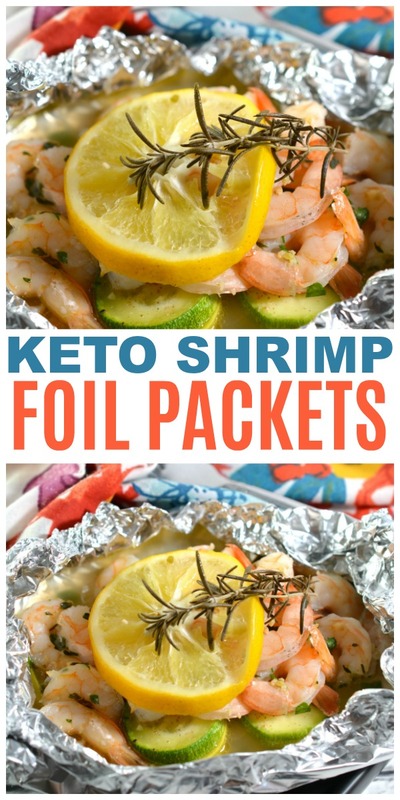 It is time to close the Keto Shrimp Foil Packets up. Start by folding up the sides of each foil packet. Then fold them down to seal create the foil seal. Last fold up each end of the foil to completely seal the packet. I like to place my foil packets on a baking sheet . Place in the oven and bake for 15-20 minutes at 400 degrees F. You want the vegetables to be tender and the shrimp cooked thoroughly. Remember if you decide to swap out any veggies they could take longer to cook. 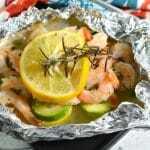 I know you are excited to try this Keto Shrimp Foil Packets dinner recipe. You can download and print off the full recipe on the recipe card below. 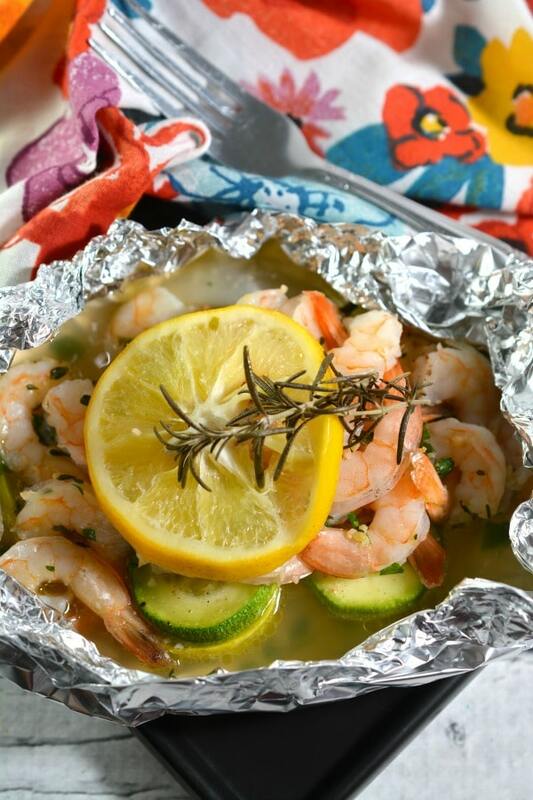 Keto Shrimp Foil Packets are the easy way to get a delicious and healthy dinner on the table. This quick recipe is also mess free. Add the melted butter, chopped parsley, chopped thyme, white wine, lemon juice and salt and pepper to taste to the bowl with the shrimp. Toss to combine. 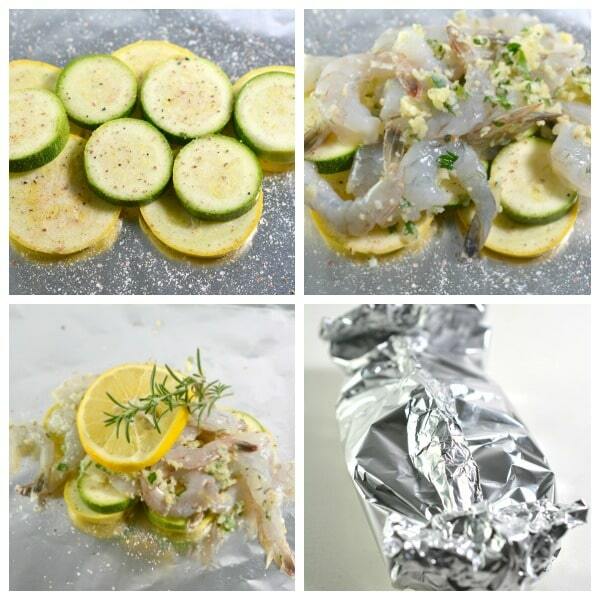 In the center of each of the aluminum foil sheets, place 6-7 slices of the zucchini and yellow summer squash each. Top the squash and zucchini with salt and pepper. Add a handful of the shrimp mixture on top of the vegetables. 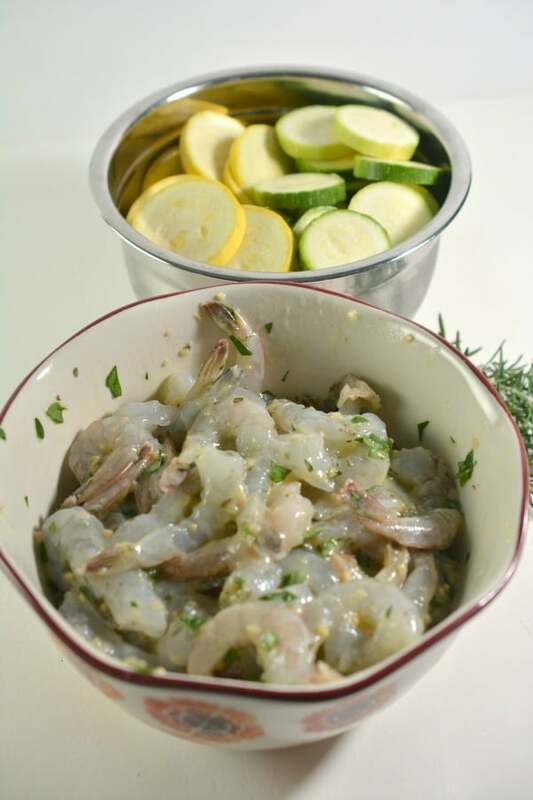 Place a slice of lemon on top of the shrimp, and a rosemary sprig on top of the lemon. Fold up the sides of the foil sheets, and fold them down to create a seal. Fold up each end of each piece of foil to finish sealing the packets. Bake the packets for 15-20 minutes until the shrimp is cooked completely, and the vegetables are tender. This looks so easy to try. Hope it will be yummy and my 6 years old daughter will love it. Going to try it for her soon.